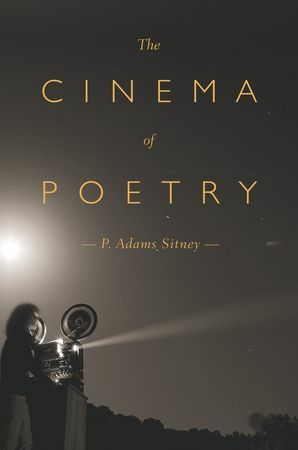 Since the publication of his foundational work, Visionary Film, P. Adams Sitney has been considered one of our most eloquent and insightful interlocutors on the relationship between American film and poetry. His latest study, The Cinema of Poetry, emphasizes the vibrant world of European cinema in addition to incorporating the author's long abiding concerns on American avant-garde cinema. The work is divided into two principal parts, the first dealing with poetry and a trio of films by Dimitri Kirsanoff, Ingmar Bergman, and Andrei Tarkovsky; the second part explores selected American verse with American avant-garde films by Stan Brakhage, Ken Jacobs, and others. Both parts are linked by Pier Paolo Pasolini's theoretical 1965 essay "Il cinema di poesia" where the writer/director describes the use of the literary device of "free indirect discourse," which accentuates the subjective point-of view as well as the illusion of functioning as if without a camera. In other words, the camera is absent, and the experience of the spectator is to plunge into the dreams and consciousness of the characters and images presented in film. Amplifying and applying the concepts advanced by Pasolini, Sitney offers extended readings of works by T. S. Eliot, Wallace Stevens, and Charles Olson to demonstrate how modernist verse strives for the "camera-less" illusion achieved in a range of films that includes Fanny and Alexander, Stalker, Lawrence Jordan's Magic, and several short works by Joseph Cornell. - Pier Paolo Pasolini and "The Cinema of 'Poetry'"